Agosti Fire can review and analyze fire department management & operations for safety issues, code compliance, and compliance to management and operations orders as well as accepted practices. Agosti Fire can review and analyze tactics used on the fire ground for safety issues, compliance to accepted practices, and to operating procedures instigated for fire ground operations. 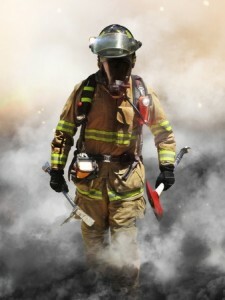 Agosti Fire can review communication tapes, computer generated reports, dispatch records, response times and routes for incidents where there may be an issue in response times or communication problems and analyze then for compliance with accepted practices. Agosti Fire can review and analyze incident command operations for fire responses and tactical control of scenes as well as provide an analysis of operating procedures to review compliance with accepted practices. Agosti Fire can review and analyze safety operations used by fire departments and/or analyze an incident where safety operations either failed or were ineffective. An analysis of RIT team operations at an incident can also determine if safety operations were being utilized at an incident. Agosti Fire can evaluate, analyze and consult when fatalities or injuries arise to either civilians or fire personnel. Our experts will analyze through records, communications, scene exam, interviews, and other information acquired to assist in determine the where, what, why, and how the incident occurred. Do not hesitate to contact us today with any questions or requests for additional information.